Manufacturer and exporter of Water & Waste Water treatment Plants, Water Filters & Reverse Osmosis Water Filters, registered supplier for UN, UNICEF, DEFENCE (Indian Army, Indian Navy, Indian Air Force) and many State Govt. Authorities. 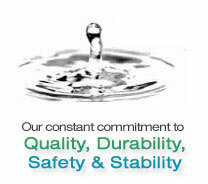 Welcome to H 2 O Solutions, Manufacturer and Exporter of Water and Waste Water Treatment Plants. We are a registered supplier for UN, UNICEF and DEFENCE and we are supported by Constant innovation and strict quality checks. Extensive R and D unit, State of the art technology and Competitive prices are the reasons behind our success. Latest Technology, In house fabrication shop and Pool of experienced Fitters are some of our facilities. Considerable Inventory, Senior Level Engineers and Well Equipped Fabrication Shop are some of our services. We are a leading firm engaged in offering Waste Water, Zero Discharge waste water and Chemical Recovery Plants. Our Reverse Osmosis and Mineral Water Plants are well known for their impeccable performance. We also provide Containerized Plants, Air and Noise Pollution Control that are well known for their durability and reliability. We offer an extensive array of Swimming Pool Filtration, Water Softening and Treatment Plants.